Rachelle and I went out for our morning run. It was an easy day today. We headed out (around the Dairy Loop) and about 2 to 3 miles into our run it began to hail. Oh… Those little ice pellets hurt our faces! It was a little fun though. We finished off with 9.3 miles at a 7:25 minute mile pace (1:09 or something like that). I did finish off with 4 strides. I felt good today. I cleaned the girl’s rooms all morning and all day! What a chore. 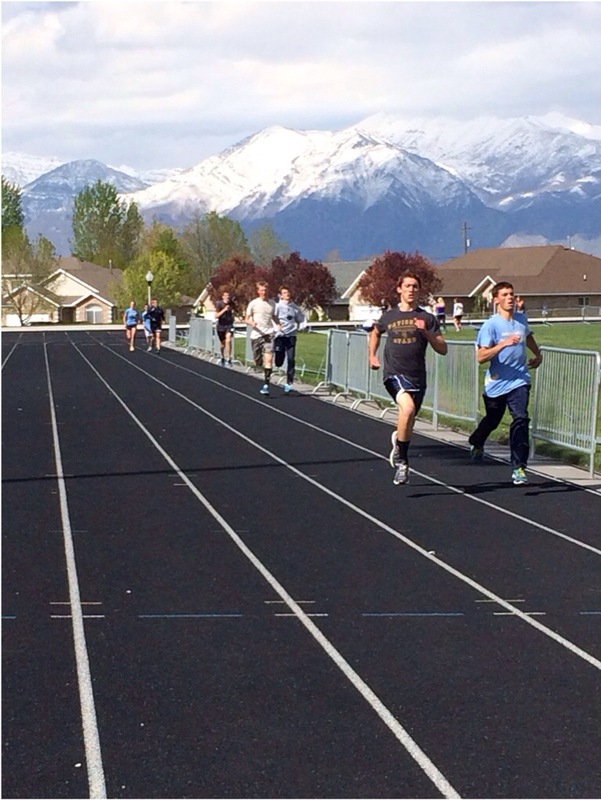 At track the high school kids went on a mile warmup and then we began a ladder workout. They started off with an 800, 600, 400, 300, 200, 400, 300, 200… These were all at their 800 to mile race pace with a 3-5 minute recovery. They were tired. The reason you do a ladder workout in track is because you are shocking your body for the different races and speeds you do in track. Very rarely do you get a runner who only focuses on 1 race. So each interval was at a different pace either their mile race pace, 800 race pace and even 400 race pace. It is a great way to teach your body mentally and physically to race at different speeds for that particular event… For example, we have a distance runner that is good at all 3 events; the 800, mile and 2 mile. He will race all 3 events in one day. They are obviously ran at all different speeds/paces… Hence the ladder workout. Anyway… After that workout they ran a 15 minute cool down. 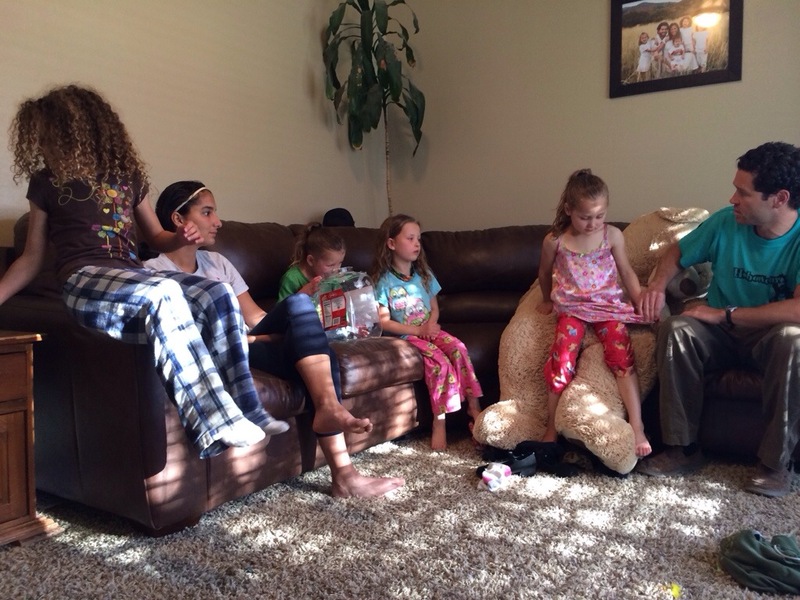 Our lesson was on being clean… Keeping our rooms clean, the play room, bathrooms, etc… We also went over chores again. As parents, Corom and I realized we have been to relaxed on making our girls work and clean. I will tell them to do it and when they don’t, I clean it myself… Horrible habit to get into!!! We are changing things around and will have to start taking things away until they learn to do things. 🙂 So today, I cleaned their rooms spotless (sounds kind of funny after this little lecture of mine)… But come tomorrow their rooms better look the same!!! « Speed Run, Friends, Kids, Track & Derby Time!